Item # 306740 Stash Points: 595 (?) This is the number of points you get in The Zumiez Stash for purchasing this item. Stash points are redeemable for exclusive rewards only available to Zumiez Stash members. To redeem your points check out the rewards catalog on thestash.zumiez.com. Step up your accessories game with the Mini Embellished Snake Earrings from Stone + Locket. 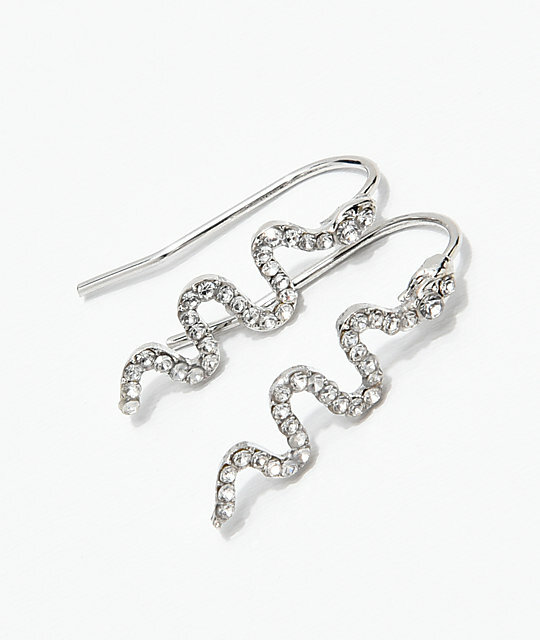 These ultra-cute dangle style earrings feature embellished snakes for an edgy look. 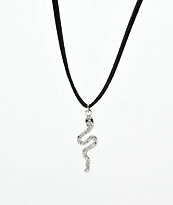 Mini Embellished Snake Earrings from Stone + Locket. 1 pair of dangle earrings.